According to tradition, the Rosary devotion was revealed to St Dominic, founder of the Dominicans eight centuries ago, by the Blessed Virgin Mary who commanded him to spread it throughout the world. It soon became a popular Christian prayer, and was furthered by other saints, such as St Catherine of Siena. In the 15th century, Bl Alan de la Roche had visions of Our Lady, in which she promised special spiritual favours to those who devoutly recited the Rosary. In our times, the Blessed Virgin herself has recommended the Rosary: at Lourdes, Fatima and in several other apparitions approved by the Church. The great French preacher St Louis de Montfort (1673-1716) saw the Rosary as a weapon against evil. “When people say the Rosary together it is far more formidable to the devil than one said privately, because in this public prayer it is an army that is attacking him,” he said. He saw even the material rosary itself as “a terrible thing for the devil”, saying that is why “the saints have used it to enchain devils and to chase them out of the bodies of people who were possessed”. For Padre Pio, the saint of Pietrelcina, the Rosary also “is a weapon in our hands with which we can overcome the devil’s attacks”. The 18th-century founder of the Redemptorist order, St Alphonsus Liguori, was another proponent of the Rosary: “How many, by its means, have been delivered from sin? How many led to a holy life? How many to a good death, and are now saved?” he asked, rhetorically. Fr Patrick Peyton, the 20th century Irish founder of the “Family Rosary Crusade, proposed that “the Rosary can bring families through all dangers and evils”. St Pius V, one of the greatest popes who ever ruled the Church (from 1566-72), said the Rosary every day. Four Piuses later, the 19th-century Pius IX advised that “if you desire peace to reign in your hearts and families, gather together each evening to recite the Rosary”. Pope Leo XIII even wrote an encyclical on devotion of the Rosary in 1883. In it he called the Rosary “the most excellent form of prayer and the most efficacious means of attaining eternal life… There is no more excellent way of praying”. Pope Benedict XV, who headed the Church from 1914-22, describes the Rosary as perfect prayer “because of the grace it obtains and because of the triumphs it achieves”. His successor, Pius XI, also wrote an encyclical on the Rosary, issued in 1937. In it he noted with admiration “the innumerable multitude of holy men of every age and every condition who have always held the Rosary dear” and urged bishops to see to it that the Rosary is more highly esteemed by all the faithful under their care. The pope after him, Pius XII, prayed the 15-decade Rosary daily. And he also wrote an encyclical on the recitation of the Rosary, in 1951. His successor, John XXIII, spoke out 38 times on the Rosary in his pontificate of only five years. Like Pius XII, he revealed that he prayed the 15-decade Rosary daily. John XXII said that “the years have made Mary’s Rosary all the dearer to us. And he too wrote an encyclical on the Rosary, issued in 1959. Pope Paul VI in his Marialis Cultus described the Rosary as “the compendium of the Gospels”. And in his 1966 encyclical Christi Matri he repeated Pius IX’s call to the bishops to encourage people to pray ardently to Mother Mary by saying the Rosary. Pope John Paul II called the Rosary his favourite prayer. “From my youthful years the Rosary has held an important place in my spiritual life,” he wrote in his apostolic letter Rosarium Virginis Mariae, which declared 2003 the Year of the Rosary. “The Rosary has accompanied me in moments of joy and in moments of difficulty. To it I have entrusted a number of concerns; in it I have always found comfort,” he said. 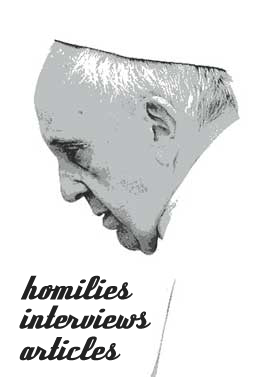 He led the Rosary on Vatican Radio on the first Saturday of the month. Pope Francis in a tweet said that “the Rosary is the prayer that always accompanies my life: it is also the prayer of simple people and saints…it is the prayer of my heart”. In 1945 when the atomic bomb was dropped on Hiroshima, a small community of eight Jesuit Fathers, only eight blocks from the epicentre, remained unharmed—the people and the building itself—while almost everyone else in a radius of 1,5km from the centre was killed or badly harmed. One of the eight priests, Fr Huber Schiffer, reported in 1976 that 200 scientists had carried out investigations for several years in search for a scientific explanation for the Jesuits’ survival. He told them that there was only one thing that made their house different to the others: they had recited the Rosary together every day. The Rosary shall be powerful armour against hell, it will destroy vice, decrease sin and defeat heresies. Whoever shall recite the Rosary devoutly, applying himself to the consideration of its sacred mysteries, shall never be conquered by misfortune. God will not chastise him in his justice; he shall not perish by an unprovided death; if he is just, he shall remain in the grace of God and become worthy of eternal life. Whoever shall have a true devotion for the Rosary shall not die without the sacrament of the Church. Those who recite the Rosary faithfully shall have during their life and at their death the light of God and the plenitude of his graces; at the moment of death they shall participate in the merits of the saints in paradise. All who recite the Rosary are my sons and daughters, and brothers and sisters of my only Son, Jesus Christ. According to Fatima’s Sr Lucia, “the Rosary is the prayer which God, through his Church and Our Lady, has recommended most insistently to us all, as a road to and gateway of salvation”. We should therefore hold fast to the treasure of the Rosary, the inestimable gift of Our Blessed Mother. Professor Michael Ogunu is the supreme chancellor of the Knights of St Mulumba in Nigeria, the provincial president of the Secular Carmelites in Nigeria and Ghana, and coordinator of the Fatima Apostolate in Africa. Note: According to the Catholic Encyclopedia the visions and sermons of St Dominic as recounted by Bl Alain de la Roche are not to be taken as historical. The fifteen promises of the Rosary fall under private revelation, which a person is free to believe or not believe. Previous story What is Dia de los Muertos?